The UK Scotch market showed continued signs of growth in 2016, but the Scotch Whisky Association (SWA) says more still needs to be done to sustain its recovery, calling on the government to cut the amount of tax imposed on Scotch by 2%. According to figures released by the HM Revenue and Customs (HMRC), the number of 70cl bottles of Scotch whisky released for sale in the UK in the first three quarters of 2016 totalled 57.2 million – up 5.6% from 54.2m in the same period of 2015. The positive trend builds on growing demand in 2015 – the first positive period of growth in the UK since 2010. However, fewer bottles were sold in the first nine months of 2016 than in the same period ten years ago, with 62.6m bottles released for sale in the first nine months of 2006. A cut in tax imposed on the industry would help sustain the industry’s gradual recovery, says the SWA, which is calling for the Chancellor to “Stand up for Scotch” in the UK Budget on 8 March by cutting excise duty on spirits by 2%. Currently, 77% of the cost of a bottle of Scotch is made up of tax, with the SWA arguing that a 2% cut give the domestic Scotch market a boost, as well as jobs and investment within the Scotch Whisky industry and its UK supply chain. “The UK is one of the biggest markets for Scotch in the world, but it is fragile and competitive, particularly so in the context of the historic change Brexit will bring,”said Julie Hesketh-Laird, Scotch Whisky Association acting chief executive. 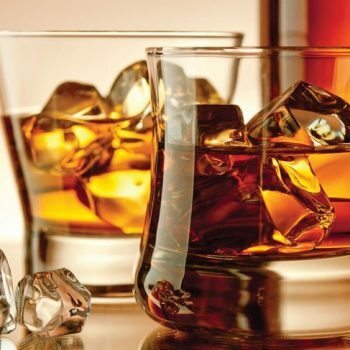 Last spring excise on spirits was frozen, following a cut of 2% in 2015 – only the fourth time in the last century that duty on Scotch has been cut – and a freeze and a scrapping of the alcohol duty escalator in 2014. A 2% cut next month would give a further confidence boost to a strategically-important British industry, says the SWA. The SWA believes a cut of 2% would also help boost spirits revenue in the UK, based on the impact a 2% cut had on the industry in 2015. Spirits revenue in 2015/16 increased by £123 million to £3.15 billion. Spirits revenue is now £155m a year higher than when the duty escalator was ended in 2014, the SWA stated. The Scotch whisky industry adds £5 billion in value to the UK economy each year, supporting more than 40,000 jobs.